Location and space, what more could you want! Come make yourself at home in Houston Hills with a like new-turn key ready house. Located on a corner lot, the large fenced in backyard is great for privacy, entertainment, and letting the kiddos run! Step inside to a welcoming entrance hall. Downstairs you find a formal dining room which leads into an open kitchen. Stainless steel appliances, granite countertops, dark cabinets, breakfast bar, AND a kitchen dining area will make any chef happy. Sought after downstairs bedroom with full bathroom, guests will love this private spot. Upstairs you will find 3 nice size bedrooms, master suite complete with tray ceilings, and a large master bath. Laundry is located on the second floor, which means no more carrying laundry up and down the stairs! 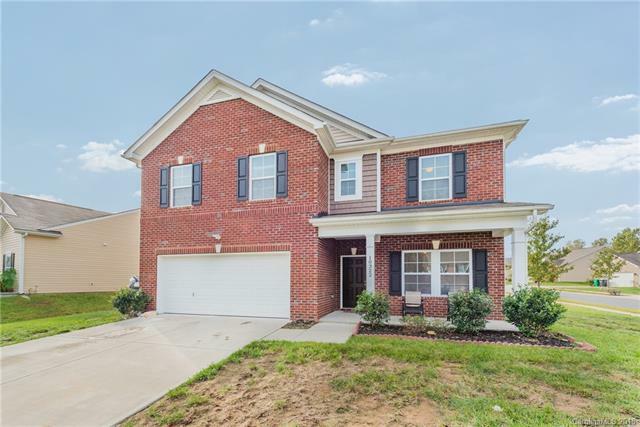 Now that you have fallen in love with the layout, don't forget to check out how quick of a drive it is to jump on 485/85, get to the University, or neighborhood shopping!